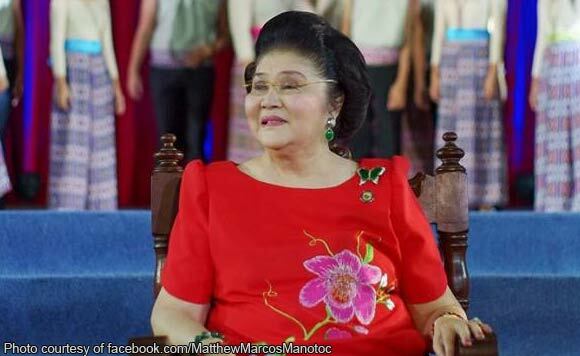 Ilocos Norte 2nd District Representative Imelda Marcos on December 5 has posted her P300,000-bail after being convicted of seven counts of graft. The Ilocos Norte politiko earlier paid a separate P150,000-bail before the Sandiganbayan. Marcos was found guilty of transferring around $200 million to seven Swiss foundations during her term as a member of the defunct Batasang Pambansa and as former Minister of Human Settlements. The Sandiganbayan said the prosecution was not able to prove that Marcos fit the conditions to deny her of post-conviction bail such as being a a flight risk, delinquency, and undue risk to commit another crime. The anti-graft court also cited the Supreme Court decision that granted bail to former Senate President Juan Ponce Enrile for humanitarian reasons.